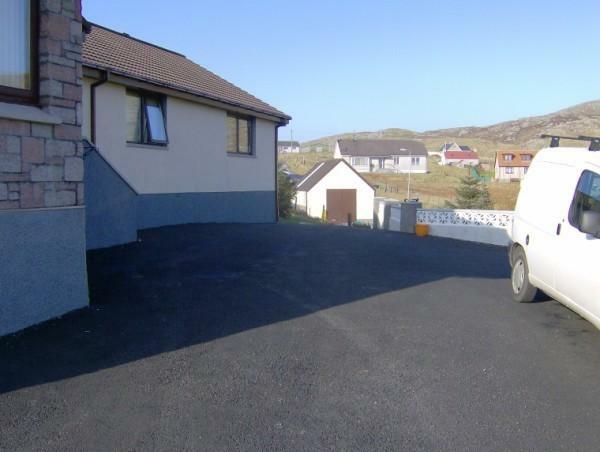 It is approximately one mile from the Castlebay Ferry Terminal, hotels, shops, post office and bank, and half a mile from the Heritage Centre, swimming pool and local library. The self-contained unit comprises of one public room serving as the kitchen and living room and one twin bedroom. 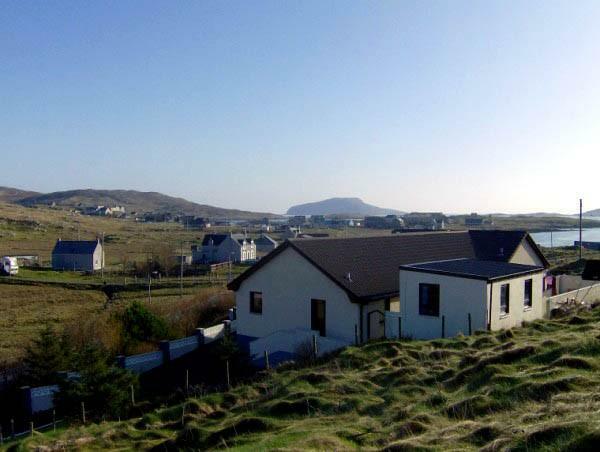 It is an ideal base for a couple or small family who wish to explore the island. 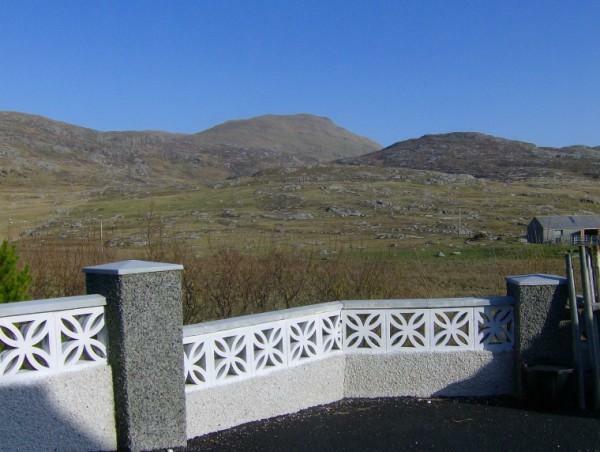 The kitchen/living room overlooks towards Castlebay and has a beautiful view of Ben Heaval (1260ft) which is barras highest point. The living space is spacious, modern and well equipped, with all the usual facilities available (see below). The kitchen has plenty of surface space and is well laid out, a list of facilities can be found at the bottom of this page. The living space is well equipped for a cosy night in and includes TV, DVD VCR and a CD player as well as a radio. The bedroom is airy and fresh, there is plenty of storage space in the form of a double inbuilt cupboard at the end of the beds which is perfect for hanging your Sunday best. The rooms are well heated with the adjustable electric heaters, however hot water bottles are provided if you fancy an extra cosy night! We stayed here last year & it was a real “home from home” with everything you would need. It’s so comfy & cosy. We weren’t lucky with the weather, but felt that it didn’t spoil our holiday, as we had a great base to get out & about from. We loved it so much, we are back this year! Just back from a very enjoyable week in Barra . Accommodation was extremely comfortable and we will be back next year.